How Do I Make a Crab Salad With Canned Crab Meat? Crab salad on a sliced baguette. Eating crab in its shell requires a fair degree of patience. If you enjoy the taste of this crustacean but aren't a fan of the hassle of its shell, canned crab might appeal to you. 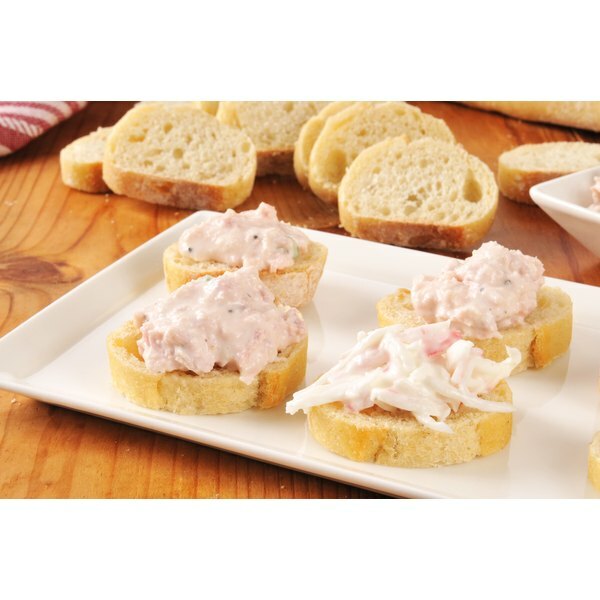 In its canned form, crab is ideal to include in recipes such as crab salad. The exact way to make the salad depends on the recipe you follow, but certain rules help you keep the dish as healthy as possible. Drain the crab meat by placing it in a strainer. Run the crab under the tap to remove excess salt, and then pick through it with your fingers to remove any pieces of shell. Crab salad recipes typically require you to mix the crab with ingredients such as mayonnaise and lemon juice and serve it over lettuce or in a sandwich. A can of crab meat has 104 calories and 704 milligrams of sodium, and the nutritional value of the meal depends on the recipe you follow and whether you eat the whole can or make two servings. Crab is low in fat, and you can keep the meal's fat content low by using low-fat mayonnaise. Avoid pairing the crab with salty dressings or condiments, as your daily sodium intake shouldn't exceed 1,500 milligrams. 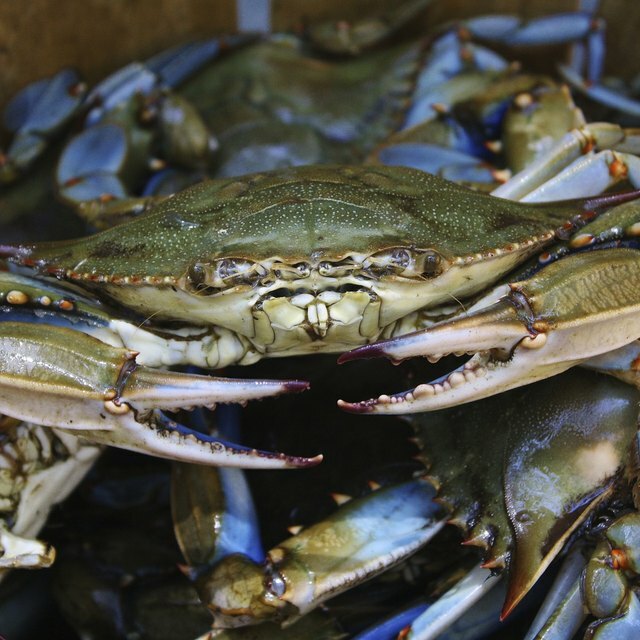 The canned crab is also a valuable source of protein, with more than 22 grams per can.